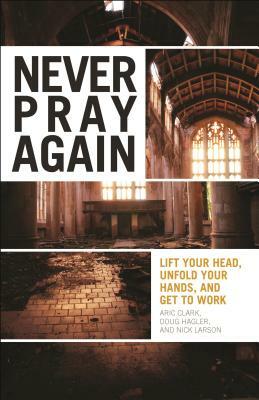 Never Pray Again encourages readers to "lift your chin, open your eyes, unfold your hands and get to work." The authors, writers of the popular "Two Friars and a Fool" blog, find the purpose of prayers not in the praying but in the doing--to Praise Confess Heal Intercede The book follows a traditional liturgical structure, drawing upon major forms of prayer and presenting each as a practice rather than merely a prayer. Aric Clark is a Presbyterian minister, writer, and speaker residing in Portland, Oregon. Doug Hagler is interim pastor at Calvary Presbyterian Church in Wyncote, Pennsylvania. Nick Larson is associate minister at Broadway Christian Church in Columbia, Missouri.